The purpose of this policy is to state the campus community’s responsibilities to report and respond to potential indicators and/or threats of violent behavior as well as define the processes and resources available. This policy applies to all members of the campus community. The campus Executive Director of Public Safety or designee is assigned responsibility for implementing and maintaining this policy. 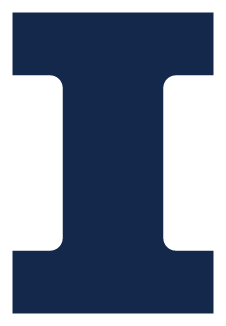 The University of Illinois at Urbana-Champaign is committed to a nonviolent environment for all employees and students. Acts of violence and threats of violence are not acceptable conduct in the campus community and will not be tolerated. In service of its commitment to the welfare, health and safety of all those in its campus community, the campus has developed a comprehensive Campus Violence Prevention Plan (CVPP) which can be found on the Division of Public Safety’s website. The CVPP is also linked to the following websites: Office of the Dean of Students, Staff Human Resources, Academic Human Resources, and the Faculty Staff Assistance Program. The CVPP is expressly incorporated by reference into this policy. Acts and threats of violence towards a specific person(s), unspecified person(s), and/or the campus as a whole. Significant violent ideations or the expression of violent ideas or the intent to harm others. Pattern of physical or emotional bullying and/or intimidation. Persistent, unwelcome pursuit of a person and/or sexual relationship and/or verbal or physical conduct of a sexual nature that is perceived as intimidating, aggressive, threatening, and/or an abuse of power. Assuming a stance of being substantially “in charge” or attempting to control processes, outcomes, or decisions that are inappropriate given the person’s standing or position. Persistently and/or pursuing options that do not reasonably exist and continuing to do so after being instructed to cease. The expression of thoughts, ideas, beliefs, and/or engaging in behaviors which indicate an obsessive, excessive, and/or inappropriate focus on violence. * Cases are not necessarily activated on the basis of a single behavioral threshold. They are evaluated for activation based upon the legitimacy and imminence of the threat as well as the level of risk posed to an individual and/or a broader segment of the campus community. the Counseling Center or call (217) 333-3704. As a part of the CVPP, a designated Campus Violence Prevention Committee (CVPC) has been formed and charged with implementing the CVPP and determining the individuals responsible for education and prevention of violence on campus. The CVPC is comprised of faculty, campus administration, student affairs, law enforcement, human resources, counseling services, residential life and emergency management. The CVPC has created this written threat assessment policy to provide guidance to students, faculty and staff about how to recognize, address and report aberrant and threatening behavior. The CVPC also provides oversight to both Campus Threat Assessment Teams, as stipulated in the CVPP, which consists of faculty, law enforcement, human resources, legal counsel, and mental health professionals. It may also include other persons and organizations deemed appropriate to a particular circumstance. The two Campus Threat Assessment Teams are formally titled, “Threat Assessment Team for Students” and “Threat Assessment Team for Faculty/Staff/Public.” The Threat Assessment Team for Students focuses on student issues and the Threat Assessment Team for Faculty/Staff/Public focuses on faculty, staff and members of the public. These Threat Assessment Teams conduct threat assessments, address aberrant, dangerous, or threatening behavior on campus, and provide guidance and best practices for preventing violence and providing support services. The Threat Assessment Teams use fact-based assessment processes to investigate threats, actions, or conduct that may lead to targeted violence and determine situation-specific response action plans. These teams also conduct post-incident assessments and evaluations of the effectiveness of the response(s) on a case-by-case and aggregate basis. Pursuant to the CVPP, students, faculty and staff are provided access to a range of support services, including mental health services, crisis management, and comprehensive services for victims, provided on campus and through community resources. Details about these processes and support resources can be found in the CVPP. Members of the Campus Threat Assessment Teams have access to information regarding the CVPP, including specific information regarding incidents of violence or precursor conduct. Additionally, other individuals may have access to that information to the extent that it is necessary in order for the campus to fulfill its violence prevention missions and to ensure the safety of the campus community. Privacy interests will be protected as required by state and federal laws. All areas of the campus community are required to cooperate with requests from the Campus Threat Assessment Teams relative to successfully monitoring any threatening behavior. The CVPC will meet once a semester or whenever appropriate to review issues related to violence on campus and provide any necessary oversight to the Campus Threat Assessment Teams. The Campus Threat Assessment Teams will meet as stipulated in the CVPP or as necessary to meet their respective needs. Pursuant to the Illinois Campus Security Enhancement Act of 2008 (“the Act,” 110 ILCS 12/1 et seq. ), a copy of the CVPP will be provided to the Champaign County Emergency Management Agency, the Illinois Emergency Management Agency Regional Office and the Illinois Board of Higher Education.